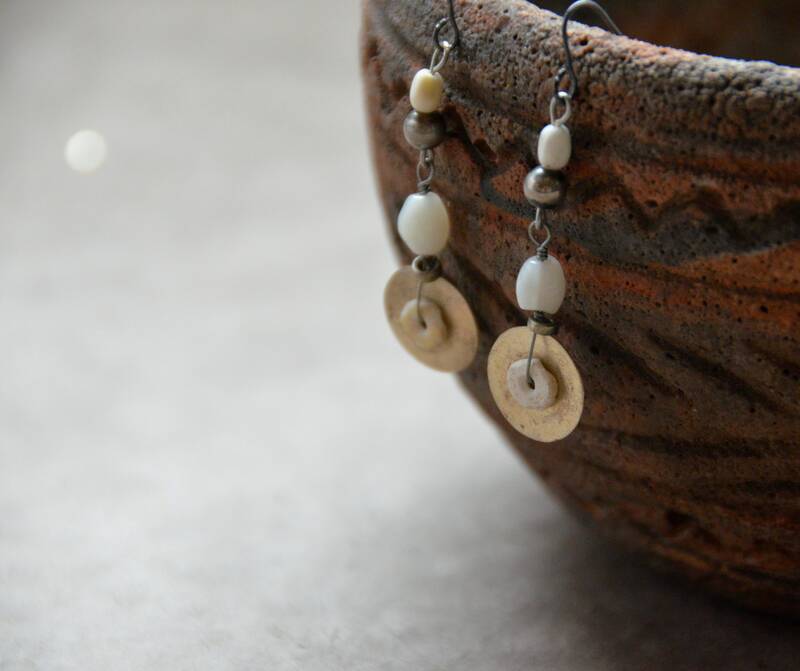 The "Simple Tribals" Earrings, Chakra 7 created by Kristen Wilson for Tribal Haus. 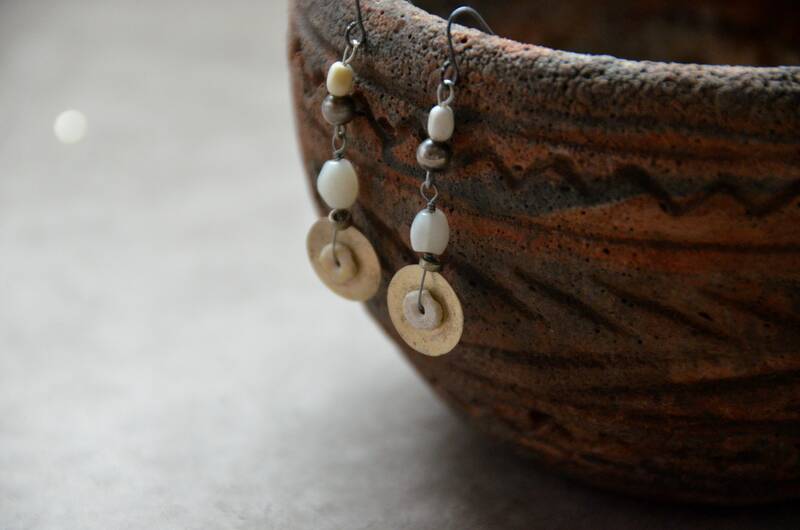 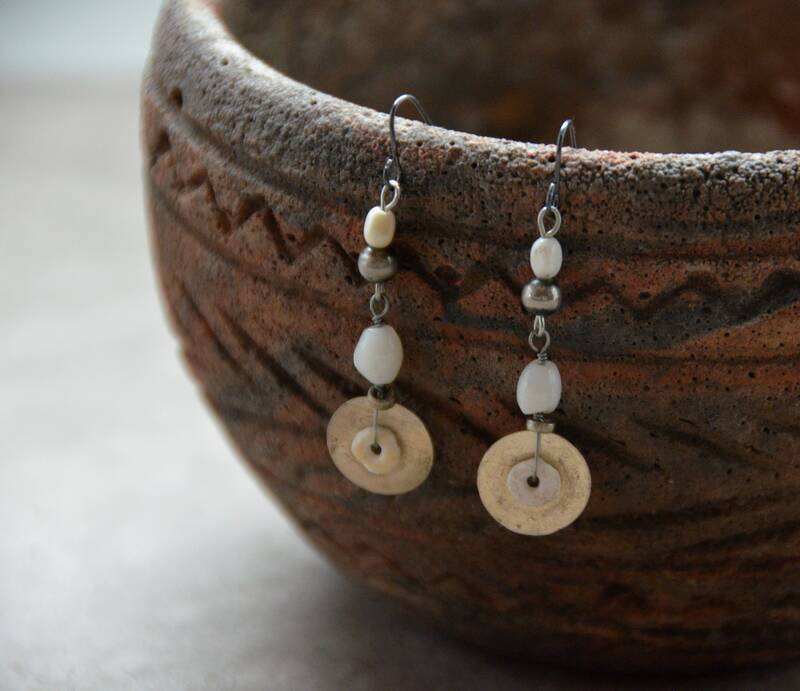 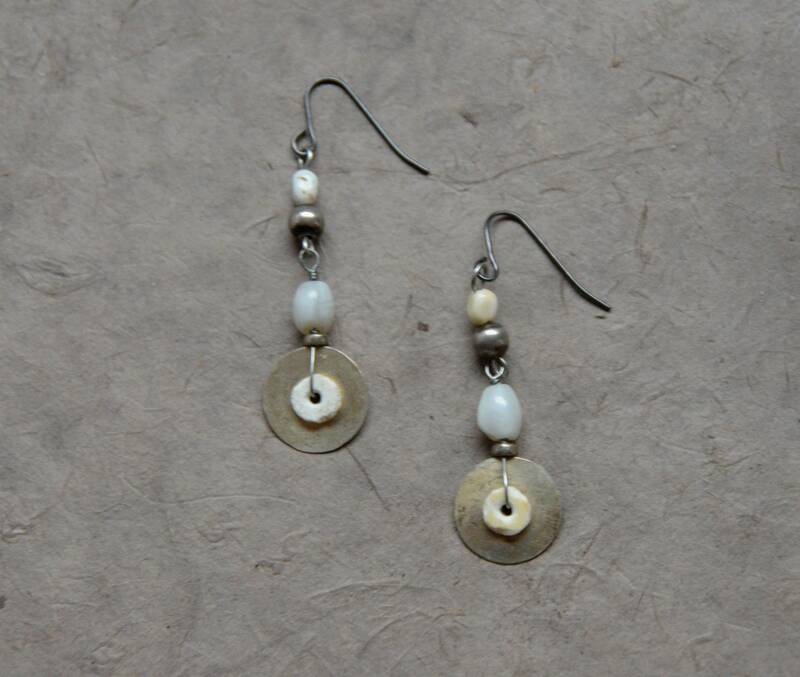 The materials used are vintage glass, buffalo stone, ostrich shell discs from Africa, tiny Ethiopian coin silver beads, mixed vintage silver tone metals. 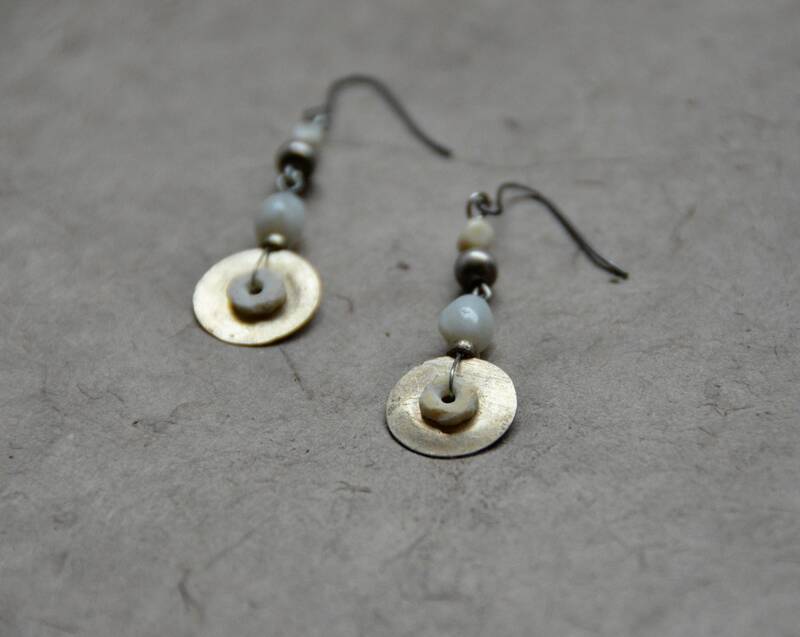 The length from the top of the surgical steel French style ear wires to the bottom of the hammered metal discs is 2 inches.